Parish Pump is an independent, registered limited company. It began in May 1999. Our theological stance is: orthodox, historical, Bible-based Christianity. What CS Lewis called ‘mere Christianity’. 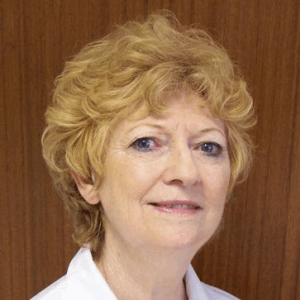 The Editor and co-Founder, Anne Coomes, has worked in Christian radio, newspapers and publishing. 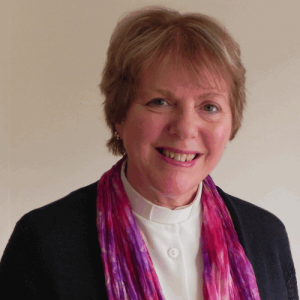 She has done diocesan communications for Peterborough Diocese and Chester Diocese. She used to be an Operation Christmas Child annual reporter, and as such helped deliver shoe-boxes to needy children (and wrote up their stories) in Romania, Bosnia, Mozambique, Kyrgyzstan, Kosovo and Montenegro. 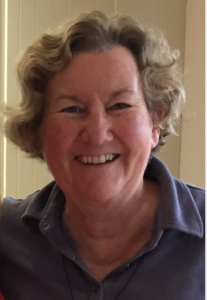 She has written several biographies on African church leaders, and is licensed as Reader for St Oswald’s, Bollington, near Macclesfield. 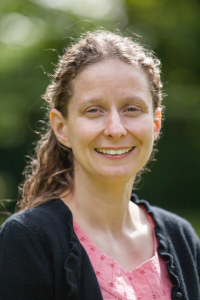 Dr Ruth Bancewicz is Church Engagement Director at The Faraday Institute for Science and Religion, Cambridge, where her remit is to help the UK Church interact with science in a helpful way. She studied Genetics at Aberdeen and Edinburgh Universities, and has worked as a postdoctoral researcher at the Wellcome Trust Centre for Cell Biology in Edinburgh, and the Development Officer for Christians in Science. In her spare time Ruth rows for the most relaxed club on the Cam. Nigel Beeton is an NHS radiographer working at the West Suffolk Hospital in Bury St Edmunds. 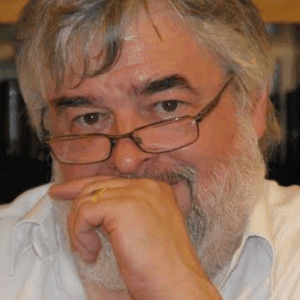 He is also editor of ‘The View’, the parish magazine of St Mary with St Peter, Bury St Edmunds.To relax from these duties, he enjoys “messing around with words”, writing poetry ranging from the comic to the more reflective. 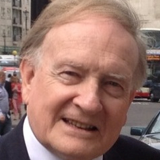 The Revd Preb Richard Bewes first felt ‘called’ at the age of seven – on the lower slopes of Mount Kenya, where his parents were CMS missionaries. The call was confirmed as a teenager on first hearing Billy Graham in London…. where Richard would eventually become Rector of All Souls, Langham Place. Today his books, preaching, and on-screen work continue his ministry, in which he is accompanied by his wife Pam. The Bible programme Book by Book that he hosts has a daily audience conservatively estimated at over a million viewers. 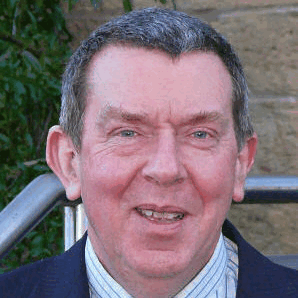 The Rev Dr Gary Bowness was vicar of Henbury near Macclesfield until his retirement three years ago. 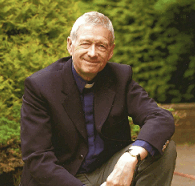 In his former diocese, Blackburn, he served as Director of Post-Ordination Training. 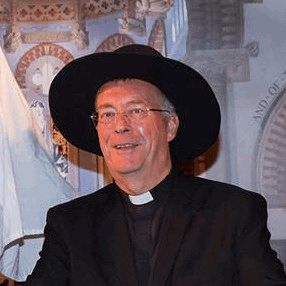 In recent years he has kept very busy taking services in vacant parishes throughout East Cheshire. He is now living on the edge of the Lake District, but has discovered that over the last couple of decades, the fells have got a lot higher & the slopes much steeper. Gary is also the author of our incredibly popular St James the Least of All series. Helen Brocklehurst is a former member of the Scargill Community in Yorkshire where she led the kitchen team and gradually became the resident poet. She now works in a school in Lancaster and is training to be a counsellor. She continues to enjoy writing poetry, silly and serious, sacred and secular. The Revd Canon Michael Burgess is priest of Oughtrington and Warburton in the diocese of Chester. 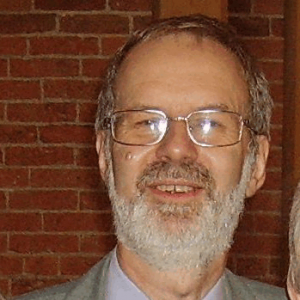 A former sub-warden at Gladstone’s Library in Hawarden for six years, he has been involved in ministry training and CME along with parish work. His interests include music and choral singing, the theatre and reading. 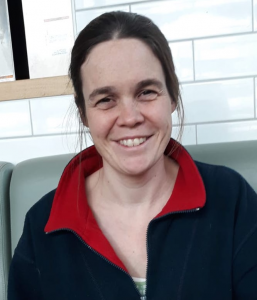 Megan Carter worked for several years in the NHS as a Relaxation Therapist, also in the community as a Cruse Bereavement Counsellor and led several short bereavement courses with a local church. 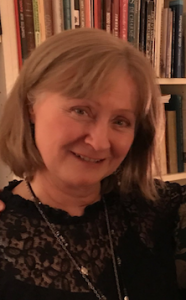 She attends All Souls Church, Langham Place, London, where together with her husband Ken they have led small group sessions for Christianity Explored, Discipleship Explored and Summer Bible Studies. Her other interests are music and the garden, of which the latter is constantly beckoning. The Revd Canon Taffy Davies has had no formal training in art or design. But he has always had a passion for visual communication. Along with Anne Coomes, Taffy was one of the founder members of Parish Pump and has contributed a number of cartoons and illustrations over many years. Taffy was ordained into the Church of England in 1978 and served in the diocese of Portsmouth, Bath & Wells and Chester. As well as being a parish priest Taffy has worked as a film- animator on several productions for Channel 5 Television, Channel 4 Television and the BBC. Taffy retired from full-time employment in June 2015 and now lives on the outskirts of Macclesfield with his wife, Rachel. Noel Ford is a nationally known cartoonist, not least for his work, for over 18 years, as a regular contributor to the sadly missed Punch magazine and also as an erstwhile editorial cartoonist for the Daily Star. These days Noel is an editorial cartoonist for a number of national UK publications, including the Church Times. 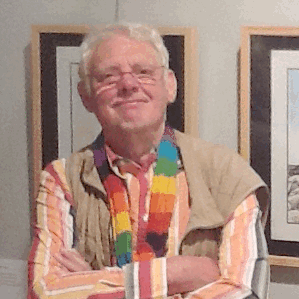 He lives in the Herefordshire village of Hope Under Dinmore with his wife, Margaret, and is a member of the British Cartoonists’ Association and a founder member of the Professional Cartoonists’ Organisation. Noel also has the honour of being the Chairman of Britain’s oldest cartoonists’ organisation, The Cartoonists’ Club of Great Britain. The Rev Paul Hardingham is vicar of St Peter’s Halliwell, Bolton in the diocese of Manchester. 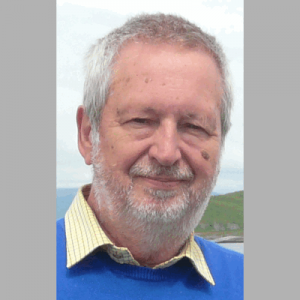 Parish ministry has taken him all over the country including Cambridge, Newcastle upon Tyne, Birmingham and Ipswich, during which time he has contributed to Parish Pump and its predecessor, Church News Service. Ted Harrison was for many years a familiar voice on Radio 4. He worked in news and current affairs, but specialised in reporting on religion around the world and was the BBC Religious Affairs correspondent. Then, for 15 years he was a television producer and he directed documentaries for all the main UK networks. About ten years ago he made a major career change and studied for an MA in Fine Art and has since been working as an artist making several high-profile works including, in November 2011, a large-scale installation under the dome of St Paul’s made from 8000 poppies. 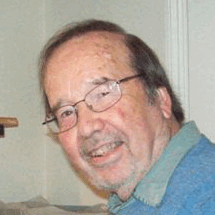 As a writer he as published 25 books and as a cartoonist illustrated several others. He is a regular contributor to The Church Times and has a PhD in theology. 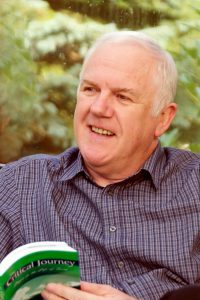 The Rev Tony Horsfall is a writer and retreat leader based in Yorkshire. Together with his wife Evelyn he served as a missionary in East Malaysia, and then as a pastor in West Yorkshire, before heading up the EQUIP training programme at Bawtry Hall, Doncaster. Tony now has his own ministry called Charis Training, specialising in offering support and guidance to missionaries and church leaders. 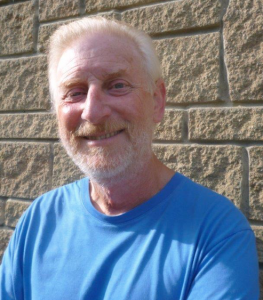 He enjoys playing Walking Football and supporting his local team, Barnsley FC. Steve Jenkins started out as an agricultural journalist with roles including deputy editor of the monthly magazine Farm Business. 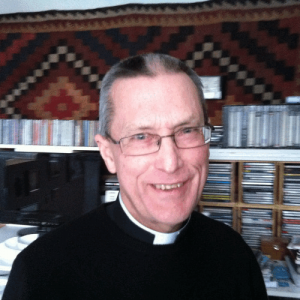 He moved into public relations with The Children’s Society and became a press officer for the General Synod of the Church of England in 1991, in time for the final votes on the ordination of women priests. In 22 years working for the Synod, Archbishops’ Council and other National Church Institutions, Steve witnessed the return of Terry Waite from captivity, ran the volunteer press office for the funeral of Diana, Princess of Wales and took charge of communications in the NCIs between directors. He took early-retirement in summer 2013 and now works as a freelance writer. The Rev Paul Judson. Paul is an Anglican priest, artist and designer. He originally trained as an illustrator and graphic designer and, as well as working freelance, he taught art and design in schools and colleges in Leicestershire until he was ordained in 1989. 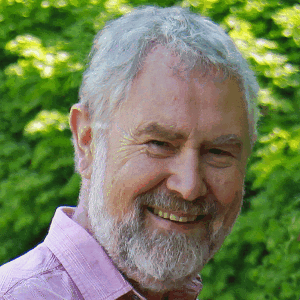 He retired in 2011 as Director of Communications for Durham Diocese and has now returned to designing and making – working in various mediums – ceramics, painting in oils and computer graphics. He has been providing magazine cover designs and photographs for PP since 2009. He is married to Mary, also an Anglican priest, and they have two children and four granddaughters. 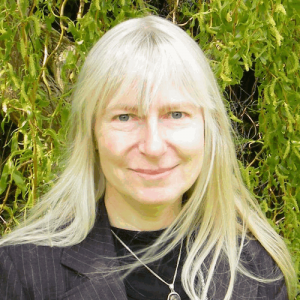 The Rev Daphne Kitching is a poet whose work is published in over sixty anthologies and in two collections of her own poems. A former primary school teacher, she now teaches pupils with Specific Learning Difficulties (Dyslexia). Based in the East Riding of Yorkshire, Daphne was ordained in July 2009 in York Minster. She is Associate Minister at St Barnabas’ Parish Church, Swanland. 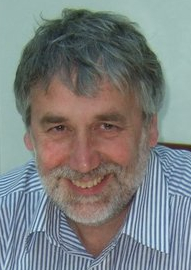 Tim Lenton is a former chief sub-editor of the Eastern Daily Press and was a columnist for the same paper. 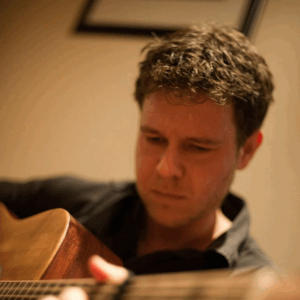 He is now a freelance writer, editor and poet – a winner of the Fish International Poetry Prize – and has been published in several anthologies, collections and on websites. He lives in Norwich with his wife, and has one son and two grandchildren. He takes services, leads worship and preaches (though not simultaneously) at St Augustine’s Church in the city. HIs most recent books are The Road Ends – pictures and poetry from Iona; Stillness Lies Deep, a collection of tanka poems and photographs from Norfolk, written with Joy McCall; and Waving from a Distance, a collection of poems written during Lent 2016. He has also edited and contributed to ‘In the Footsteps of the Pastons’ – a Paston walk through Norwich with poems and commentary. Deborah Noble is a freelance illustrator and designer. Her artwork has appeared in a number of Christian publications. She writes and illustrates Mouse Makes and has been creating logos and illustrations for Parish Pump since 1999. Francesca Ross is an artist and illustrator and archdeacon’s wife in the Lake District. 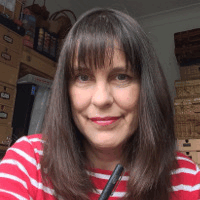 As well as producing front covers for Parish Pump, she also has illustrated the Northumbria Community’s Celtic Daily Prayer, paints RHS grade botanical illustrations, and works in a variety of media. Tim Sparks helps Parish Pump with IT support and website bits and pieces. If you have a technical problem with the site, chances are that it’ll be Tim that gets to help you – so be nice! Tim also does a bit of youth work, plays lots of music, teaches guitar, rides bikes, and generally stays up too late in the evenings. He also has a PhD in Engineering, but prefers building guitars now. 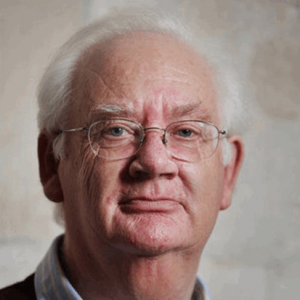 The Revd Canon David Winter has had four working lives: as a teacher, journalist, BBC producer (radio and television and then Head of Religious Broadcasting) and finally as a parish priest in the Church of England. Now retired, he lives in Berkshire, writes endlessly, though his 44th book, Heaven’s Morning (Rethinking our Destination) will, he says, be his last. But he still does a diary column and reviews books for the ‘Church Times’. He contributed to Radio 4’s ‘Thought for the Day’ for twenty years, until faced with the winter of 2013 he decided to stop getting up at 6am on cold mornings. The Rev Ron Wood has been a parish priest for more than half his life so far, and a cartoonist since he was eighteen. St Gargoyle’s has appeared in Church Times for more than 25 years, and has inspired three collections of cartoons and two funny novels. He currently lives in Somerset with his wife and his conscience.